The Galleons Passage is fit to sail, and can even be put to service on the inter-island seabridge immediately, but just not under a TT flag. Since TT adheres to the International Convention for the Safety of Life at Sea (SOLAS), an international maritime treaty that sets minimum safety standards in the construction, equipment and operation of seagoing vessels, vessels flying the TT flag need to comply with the least of these standards. The Maritime Act, however, allows the Maritime Services Division to exempt vessels that are seaworthy, but not necessarily meeting the extraordinarily high standard of the SOLAS convention. 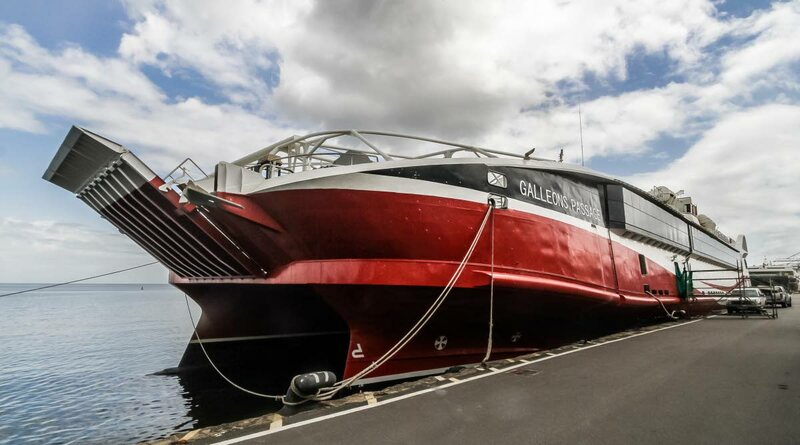 The Galleons Passage was built according to Australian standards, since its maker, Sea Trasport, is an Australian company. It also flies under a Vanuatu flag. Since the boat was purchased by the government for service in TT, it was preferred that it fly the TT flag. It therefore has to meet the minimum SOLAS requirement. At the request of the Maritime Division, the National Infrastructure Development Company (Nidco) commissioned a gap analysis from international maritime classification organisation, Lloyd's Register to determine the gaps between the Galleons Passage's compliace according to Australian regulations, versus SOLAS. That gap analysis, however, itself had gaps. Nidco chairman, Herbert George, said yesterday at a press conference at Nidco's office in El Socorro, that the company has written to Lloyd's and asked them to amend the report with updated information. A revised report is expected next Thursday. That will then be sent to the Maritime Division for comparison. Only after the Maritime Division clears the vessel, then can it be released for passenger service on the inter-island route under the TT flag. Reply to "Galleons Passage can sail the seabridge, just not under the TT flag"